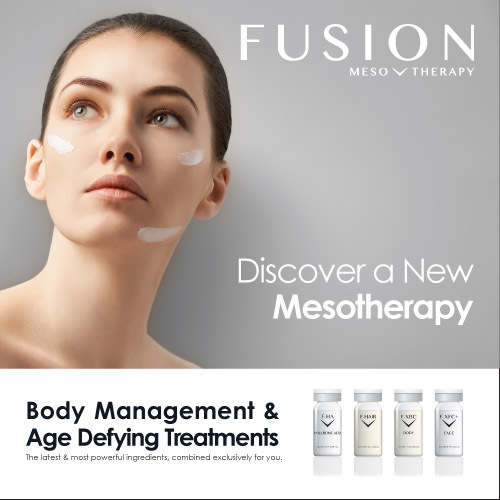 Fusion Mesotherapy is a brand of the Oxynergy Paris Group and is internationally renowned in the field of cosmetics, mesotherapy products, medical devices and mesotherapy systems. 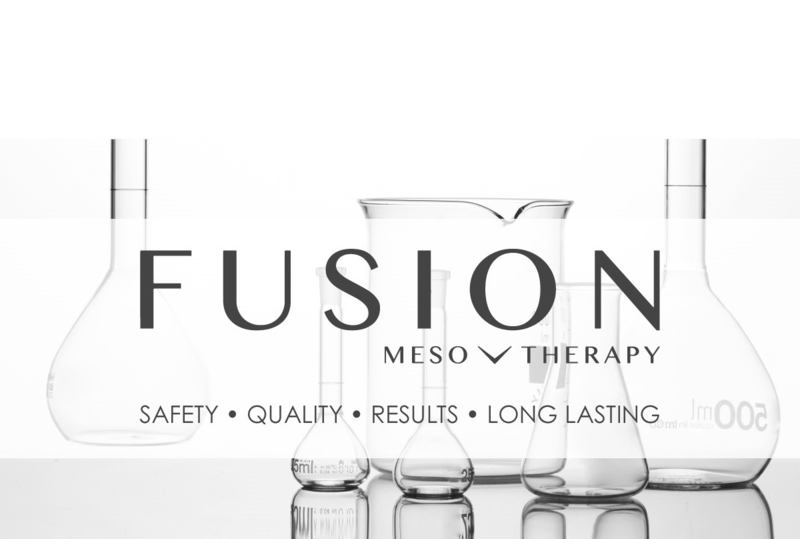 Fusion Mesotherapy continues to invest in research and development, and into the efficiency and safety of its treatments. The success of Fusion Mesotherapy is directly linked to the comprehensive range of products that have been formulated for aesthetic professionals and dermatologists, designed to effectively target and improve specific skin conditions. 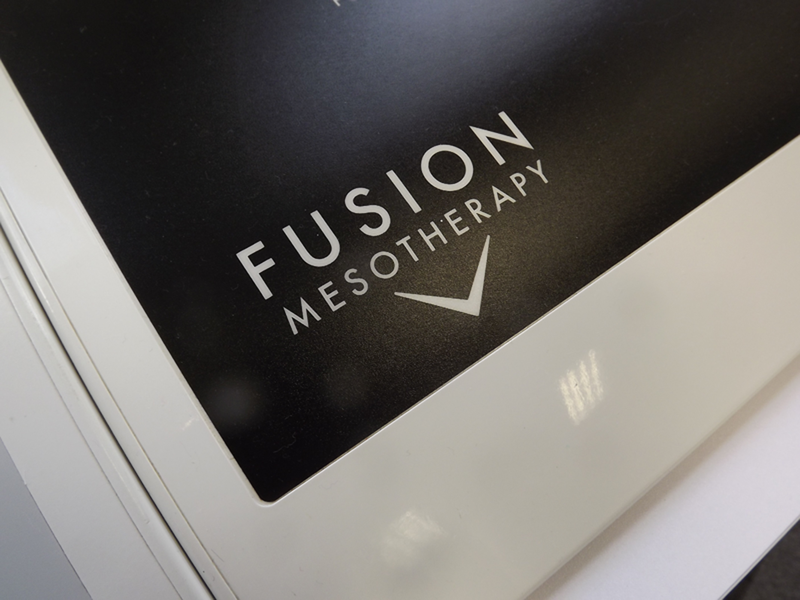 The Fusion Mesotherapy range includes products containing the latest generation of Growth Factors and Biomimetic Peptides, and exclusive devices made for electroporation, mesotherapy, and fractional mesotherapy treatments. Transform Mesotherapy solutions into sterile creams for post aesthetic, medical treatments. 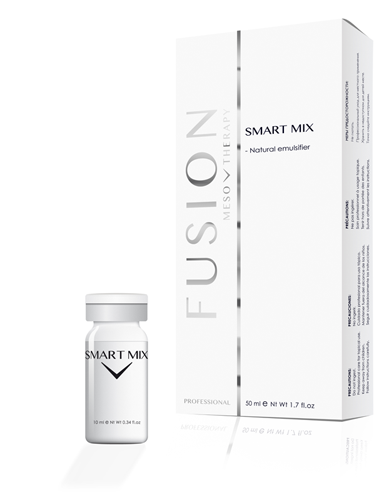 Smart Mix by Fusion Mesotherapy is a patented formulation with a unique concept. It allows you to create a sterile post treatment product with the specific ingredients required to provide the best possible results for each individual patient. Now you have the ability to create your own highly concentrated post cream, serum or mask with Smart Mix. Simply follow the guideline protocols provided which details how to add Smart Mix to one of the Fusion Mesotherapy sterile solutions and watch it change before your eyes. Increase the richness of the product with hyaluronic acid. Smart Mix contains a patented formulation that includes a skin emollient and natural vegetal emulsifier. Fractional Mesotherapy is a new treatment, which combines micro needling therapy with the contemporary Mesotherapy practice. Since the 1990’s, micro needle therapy has long been used by practitioners in the form of Collagen Induction Therapy (CIT), to fade scars and generally as an anti-ageing treatment. Recently smaller size micro needles have been recognised for their capacity to dramatically increase the bioavailability of topical treatments and further enhance their transcutaneous absorption. The first key benefit from Fractional Mesotherapy is the induction of collagen by controlled wounding. Collagen induction builds layers of the supporting intracellular matrix, promoting healthy, resilient skin that looks younger. The second key benefit from Fractional Mesotherapy is increasing transdermal penetration of actives, facilitating higher product concentrations in the dermis. This has the potential to make topical treatments more effective. Studies suggest that using a skin needling system can increase the effectiveness of topical treatments by several hundred percent. The new exclusive Meso Pen Platinum combines cutting edge technology with a modern cutting edge design. This stylish electronic pen balances the newest and most advanced features for safety and comfort. 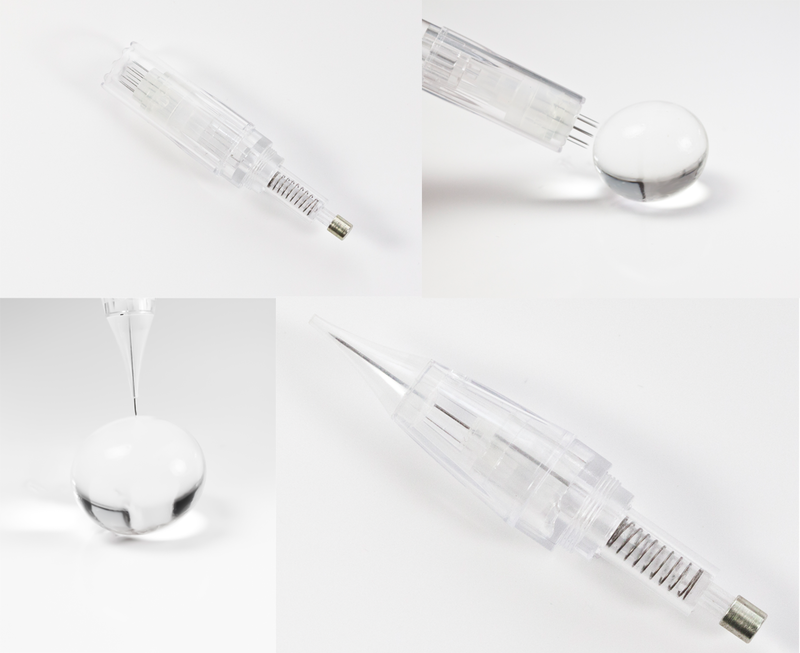 The Meso Pen Platinum is the ultimate device for Fractional Mesotherapy treatments. It encompasses many beneficial features, such as low noise vibration technology which provides patients with a better and more enjoyable experience. And high speed penetration, with 133 punctures per second to reduce discomfort. The Meso Pen Platinum system includes two options of cartridges. The first being a single needle design for precision work, the second a 9 needle tip that has been designed specifically to reduce surface tension. The 9 needle cartridge incorporates a bevelled edge type design that works to effectively reduce suction from tip to skin, and to allow product to flow freely through the needles and under the tip. This technology eliminates the build up product in or around the edge of the cartridge and enhances the penetration of the bespoke cocktail used within the treatment. For patient comfort the needles are 33g ultra sharp, and of the highest quality, encased in biocompatible medical plastic. The cartridges benefit from anti-back flow technology, to prevent product or bodily fluids entering the device and eliminating the chance of cross-contamination. 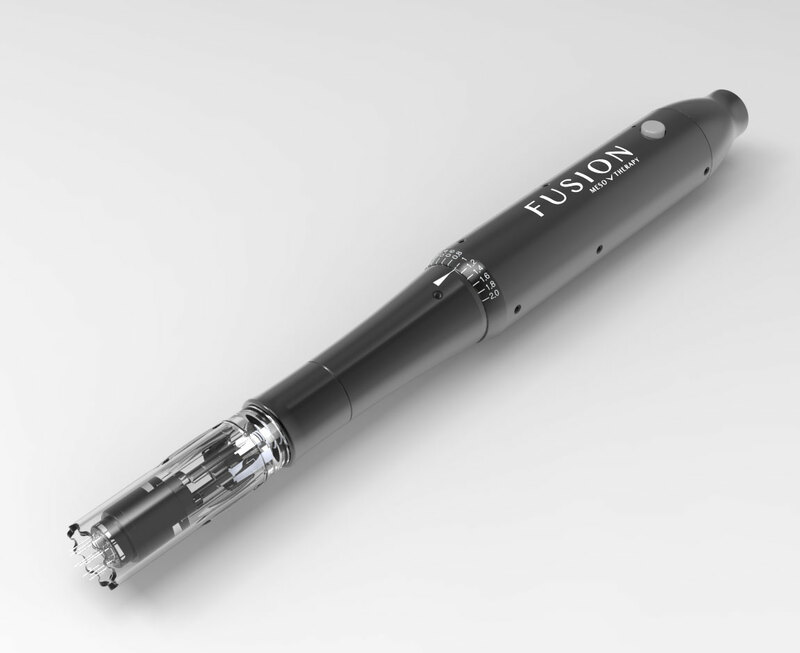 Fusion Mesotherapy remains at the forefront of advancements in both technology and Mesotherapy. They offer a complete treatment solution, focused on treating patients individually to achieve optimal results in the shortest of time. The Fusion Meso Pen Platinum treatments incorporate patented Smart Mix sterile serums and post treatment creams, allowing you the option to create your own bespoke solutions to treat each patient’s individual concerns. "Enhances transdermal transport of skin care products through the skin with Radio Frequency"
The Fusion Mesotherapy RF treatment is suitable for patients wishing to treat conditions such as: Aged skin, wrinkles and expression lines, flaccid skin, pigmentation, dark eye circles and eye fat bags, stretch marks, cellulite and localised fat. The XPERT is a new concept in non-invasive aesthetic medicine. An advanced approach to Mesotherapy based on a combination of electroporation & photo bio-stimulation, which enhances the transportation of products through the epidermis to the dermis via cellular pores. This process allows product to reach the heart of the cells, at the same time emitting an LED light to activate certain biological functions of the skin and the cells. The XPERT is an excellent option for any clinic that requires additional portable devices. 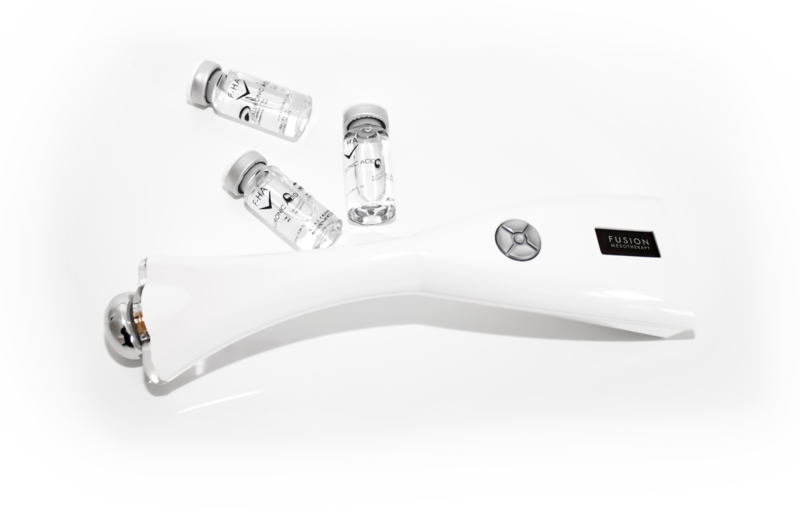 It is a flexibly option for mobile practitioners that seek a light weight hand held stand-alone needle-free device for Mesotherapy treatments. To achieve the ultimate Mesotherapy results The XPERT should be applied after Mesotherapy injections. This device is used in combination with the SNS Meso Pen for fractional Mesotherapy.